What is the difference between oats and barley? , fiber, and vitamin E, among many other nutritional needs, and are an excellent dietary supplement for this reason. Today, oats are eaten in the form of oatmeal and granola bars. Part of the grass family, barley grows in over 100 countries and is one of the most popular cereal crops, surpassed only by wheat, corn and rice. Because barley is a whole-grain food, consumption provides several health benefits. It is high is soluble fiber and can reduce blood cholesterol and blood glucose levels. Barley is also low in fat. Pearled barley is widely available in supermarkets near the rice, dry beans and pulses. Barley flour is available in health food markets. It is used as a thickener for soups and stews, and also in baked goods. In some recipes, you can combine barley flour with wheat flour. Barley flakes are used in baked goods. Barley is also used in the malted form. To form barley malt, the barley kernels are soaked and dried. The kernels sprout in a controlled environment. Along with beer, uses for barley malt include extracts, syrups and flavourings. Cooked pearled barley added to a salad provides extra fiber. Main dishes, soups and stews, baked goods and breakfast foods also include barley as an ingredient. Oat and barley: Which is the better grain? 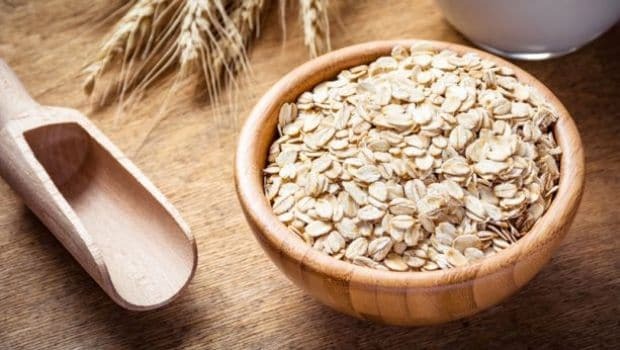 Home » Frequently asked Questions on Health » What is the difference between oats and barley? Q: What is the difference between oat and barley? Oats are among the many cereal grains consumed. Oats are very popular in the health food movement because of their high nutritional value, and they have been used in breakfast porridge for centuries for much the same reason. Oats have a nutty flavour that is an excellent supplement to bread and other foods. Oats are high in protein, calcium, fiber, and vitamin E, among many other nutritional needs, and are an excellent dietary supplement for this reason. Today, oats are eaten in the form of oatmeal and granola bars. Part of the grass family, barley grows in over 100 countries and is one of the most popular cereal crops, surpassed only by wheat, corn and rice. Because barley is a whole-grain food, consumption provides several health benefits. It is high is soluble fiber and can reduce blood cholesterol and blood glucose levels. Barley is also low in fat. Pearled barley is widely available in supermarkets near the rice, dry beans and pulses. Barley flour is available in health food markets. It is used as a thickener for soups and stews, and also in baked goods. In some recipes, you can combine barley flour with wheat flour. Barley flakes are used in baked goods. Barley is also used in the malted form. To form barley malt, the barley kernels are soaked and dried. The kernels sprout in a controlled environment. Along with beer, uses for barley malt include extracts, syrups and flavourings. Cooked pearled barley added to a salad provides extra fiber. Main dishes, soups and stews, baked goods and breakfast foods also include barley as an ingredient.